Serkanner wrote: Interestingly enough I was laughed off earlier in this topic (page 5) about me having a similar premises. Serkanner score! Some of us continue to laugh. The Mutati are NOT facedancers! They are TOTALLY different! Can'you'not see that? For the record, I didn't laugh. Well, not AT YOU. ... Do we have a "smug" smiley? Says the one who uses TheHacks' codpiece as a pacifier. the bene gesserit mention that other memories provides the revelation of what savagery people are capable of and what great examples of it you have in your ancestry in order to be among the survivors of human evolution. was this a comment on where frank saw the peak of human despotism? I believe Leto II's OM went back to the original cell. I'm not sure how far back RM's go. Bene Gesserit Reverend Mothers have what they call their Mohalata, a union of their benign ancestors that protect them from malignant ancestors. Also, Paul was an adult (or nearly one) when he took the spice. Alia, Leto II and Ghanima were pre-born. From memory, FH spends some time discussing this in CoD and/or GEoD, explaining how the overcame their other memories. Part of the solution is that adults have their own identity, so are better at resisting posession. Freakzilla wrote: Bene Gesserit Reverend Mothers have what they call their Mohalata, a union of their benign ancestors that protect them from malignant ancestors. Where is the term Mohalata from? I don't remember it from my last read-through. To be fair to what distrans wrote above, I do think there are indications in Messiah that Frank viewed bureaucracy as being the ultimate tyranny, and so there's an argument to be made that the OM referred to in CoD and GeoD saw male industrialists as being the peak of human despotism. There may have been malignant female ancestors, but for them to have been despots to a notable level they would have to have also had a system in place that was despotic. Hunter-gatherer societies most likely didn't have this kind of social machinery and so they were incapable of being despotic as a culture to the same extent that later human civilization could achieve. It's first used in Children of Dune, Ghanima calls on it to protect her from Other Memory. It's used a couple of other times in that book as a Fremen term, not related to Other Memory. 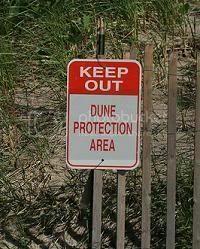 It's again used in Chapterhouse: Dune by Rebecca, Bellonda, and Murbella in reference to OM.